Standard clear carbon chilled rolls most of miller’s choice, which has a hardness of 480 to 500 HB, proven its relevance from decades, used for both break and reduction applications. Chilled rolls manufactures Flour Mill Rolls for cereal & grain milling, oil seed crushing, flour & feed milling, rice flaking, biscuit, coffee & chocolate industries by centrifugal spin casting process. The cementite & pearlitic structure ensures that the rolls have consistent hardness over the entire surface. With an objective to fulfill the ever-evolving demands of our clients, we are engaged in offering a wide assortment of Flour Milling Roller. We have created a niche in the market for delivering our clients with best quality Flour Mill Rolls. It has smooth functioning and is available in different sizes. The material properties of the Roller Mill Rolls are adapted to the specific demands for grinding, crushing, cracking, flaking or crumbling in flour mills, oil mills, cereal plants, coffee mills, chocolate plants as well as in feed mills. Riding on unfathomable volumes of industrial expertise, we are providing a broad array of Flour Mill Rolls. Flour Mill Roll for cereal & grain milling, oil seed crushing, flour & feed milling, rice flaking, biscuit, coffee & chocolate industries. The cementite & pearlitic structure ensures that the rolls have consistent hardness over the entire surface. 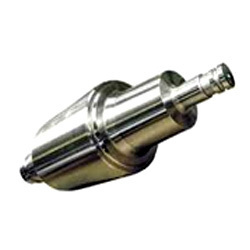 Rolls can be supplied as solid cast or hollow as bodies only or complete with shrunk fit spindles. 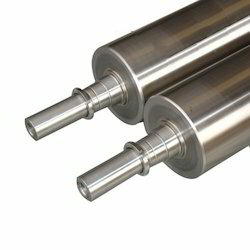 Chilled Cast Iron Rolls / Flour Mill Rolls are the most important machinery part of any flour mill. Good quality mill rolls are the key to success for any flour mill. Therefore our flour mill rolls can help you in achieving your success goals.